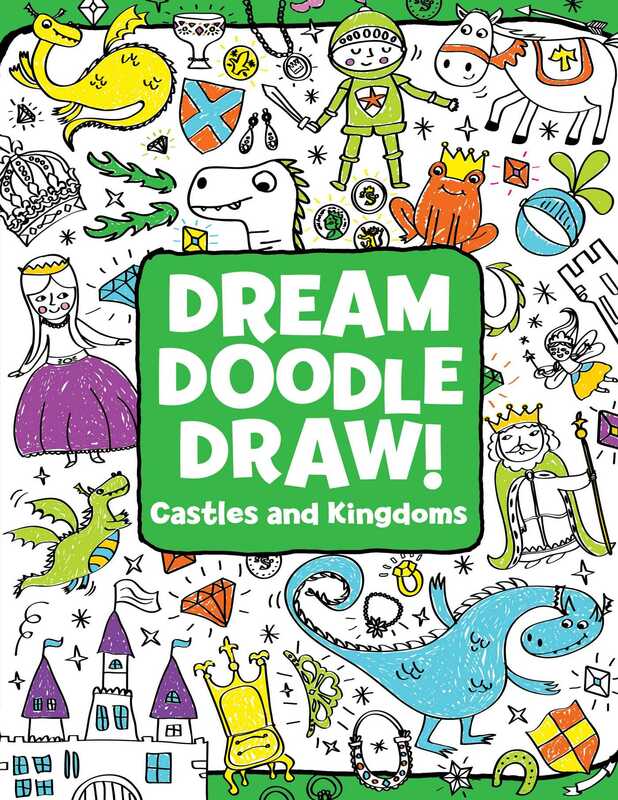 This royal-themed doodle book is filled with coloring and activity pages perfect for the youngest artists! Create your own majestic kingdom! Filled with dragons, knights, and princes galore, this unique black-line doodle book with a glittery, glossy cover inspires budding artists with fun prompts and activities that help them explore the depths of their imaginations. Isabel Aniel was born in Bilbao, Spain, but later moved to Barcelona to study graphic design. The sun and life of Barcelona captured her. After working in the design industry for many years, Isabel realized that illustration was the best way to recreate her own universe and to give form to the fantasy world in her mind. Fueled by her passion for books, she completed a Master’s degree in publishing. Isabel is a tireless searcher of little treasures, such as vintage children’s books. She finds joy in the beauty of simple things, and in the magic of the unexpected.